After five trials, four single-plaintiff verdicts, almost $310 million in awarded damages, two target defendants, and one sensational claim--talc-based personal care powder causes ovarian cancer--the St. Louis County Circuit Court has declared a mistrial in trial number six following the United States Supreme Court’s personal jurisdiction ruling in Bristol-Myers Squibb Co. v. Superior Court of California, No. 16-466, 2017 U.S. LEXIS 3873, *1 (June 19, 2017). All eyes in St. Louis had been on the Supreme Court waiting for the decision, given its potential to drastically alter the landscape of the talc litigation. Primarily due to Missouri's lax permissive joinder rules, the St. Louis talc docket is inundated with claims of non-resident plaintiffs with no connection to Missouri beyond the fact it serves as the place where they filed their lawsuit. This includes all five plaintiffs who have gone to verdict to date, not one of whom was a Missouri resident. The trial court had overruled all personal jurisdiction objections of defendants Johnson & Johnson and talc-supplier Imerys, and defendants raised this issue on appeal. In May, however, the Missouri Appellate Court stayed ruling on appeal of the $72 million verdict entered in Fox—the very first talc ovarian cancer verdict—pending the Supreme Court’s ruling in Bristol-Myers Squibb. Bristol-Myers Squibbinvolved eight separate complaints filed on behalf of less than 100 California residents and almost 600 non-resident plaintiffs, all alleging damages arising from their use of the drug Plavix. 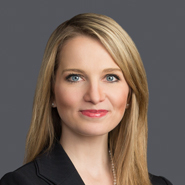 Defendant Bristol-Myers Squibb (“BMS”) asserted it was not subject to personal jurisdiction in California in claims asserted by non-resident plaintiffs. BMS is a Delaware corporation with its principal place of business in New York. Although the California Appellate Court found BMS was not subject to general personal jurisdiction pursuant to the United States Supreme Court’s decision in Daimler A.G. v. Bauman, 134 S. Ct. 746 (2014), the court applied a “sliding scale” analysis and found BMS was subject to specific personal jurisdiction. Specifically, the court considered the fact that the non-residents’ claims were similar to those of the residents’ claims, as well as the fact that BMS engaged in other California activities. In light of the company’s “wide ranging” contacts with the state, the California court found it could exercise specific personal jurisdiction over BMS. In a win for the defense bar, however, the Supreme Court reversed, expressly finding that “[f]or specific jurisdiction, a defendant’s general connections with the forum are not enough.” Rather, specific jurisdiction requires that a court “identify an adequate link between the state and the nonresidents’ claims.” The Court essentially deemed irrelevant those peripheral factors weighed by the California Appellate Court, such as the similarity of claims between residents and non-residents and/or BMS conducting research in California, and rejected California’s “sliding scale” approach. Finding that “settled principles regarding specific jurisdiction control this case”, the Court held that what was “needed” to establish jurisdiction, but “missing”, was “a connection between the forum and the specific claims at issue.” Accordingly, the Court found California could not exercise personal jurisdiction over BMS with respect to claims asserted by non-resident plaintiffs. Given the Missouri Appellate Court’s indication that the Bristol-Myers Squibb opinion would be dispositive on appeal of the four prior talc verdicts, it is unlikely any defendants were more anxiously awaiting the decision than those in St. Louis. When it was handed down on June 19, 2017, the second week of the sixth talc trial was beginning in St. Louis. Within hours, the trial court declared a mistrial. Although the ultimate fate of the St. Louis talc docket remains unknown, it appears almost certain Bristol-Myers Squibb will have a significant impact as evidenced by the trial court’s almost immediate response to same. Unquestionably, however, the decision further affirms the parameters of personal jurisdiction and will serve as a vital tool in the defense arsenal to combat forum shopping.